I think it was last week (my days-nights-weeks are kind of running together…) that I heard about Pantone’s Color Of The Year for 2015. As I skimmed the interwebs it didn’t seem like everyone was on board with it. I get that, I mean, it’s basically brownish red which I haven’t seen on the top of anyone’s favorite color lists lately BUT I was actually kind of thrilled about it. Although last years color, Radiant Orchid, is probably prettier to look at as a leading lady, 2015’s choice makes a much better co-star. 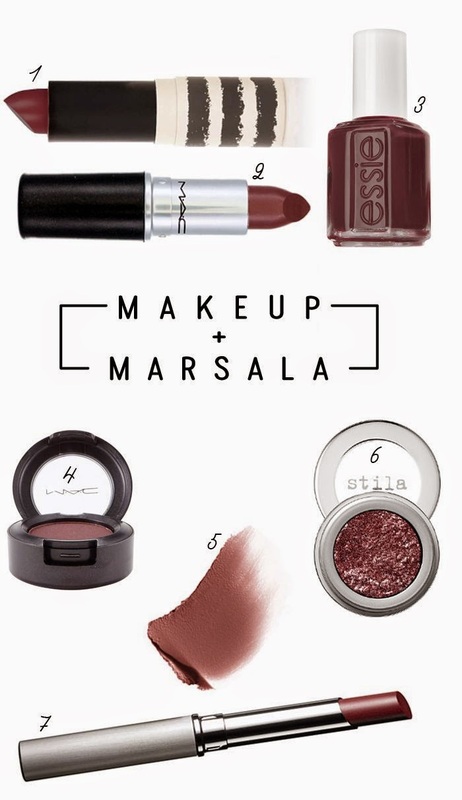 Marsala is sooooo good at being makeup. Anything with red undertones is going to make your eyes look AWESOME but this color has the added bonus of also being earthy/natural-ish at the same time. So I gathered together some of the robust wine’s themselves and I can’t wait to start experimenting with them! Are you on board with Pantone 2015? If no, what color would you have picked?